Book-Morris on Tying Flies by Skip Morris. 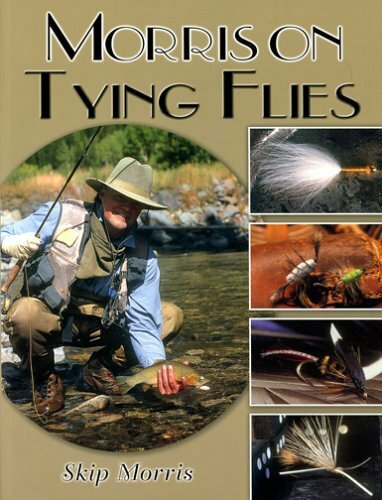 Skip gathered his personal favorite fly-tying articles, rewriting and reshooting the photographs, then compiled them into a book for fly tiers of all skill levels. 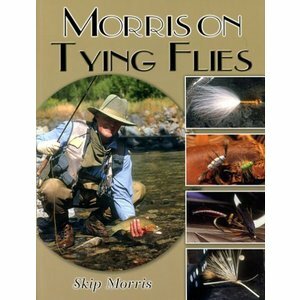 Book-Morris on Tying Flies by Skip Morris. World-renowned fly tier Skip Morris gathered his personal favorite fly-tying articles, rewriting and even reshooting some of the photographs, then compiled them into a current and relevant book for fly tiers of all skill levels. You'll find decades-old standards and hot new patterns. There are 74 patterns in this book, including dry flies; nymphs; streamers and bucktails; emergers; steelhead and Atlantic salmon flies; flies for bass (largemouth and smallmouth) and panfish; flies for tropical saltwater fishing and even some flies for salt water north. Up-to-date text, crisp photos, beautiful watercolors - Skip has done it again. 112 page paperback edition. 8.5 x 11 inch format.